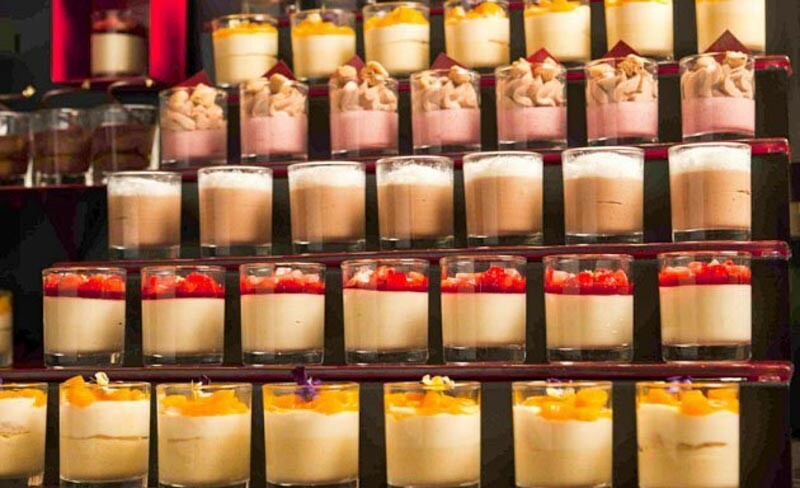 If you’re an avid foodie like me, you’ll be able to relate to the sheer excitement I get from seeing rows upon rows of sumptuous good eats all lined up and ready to be devoured. What I love most about buffets is the freedom to savour as much good food as I can, without (that much) judgement from others. 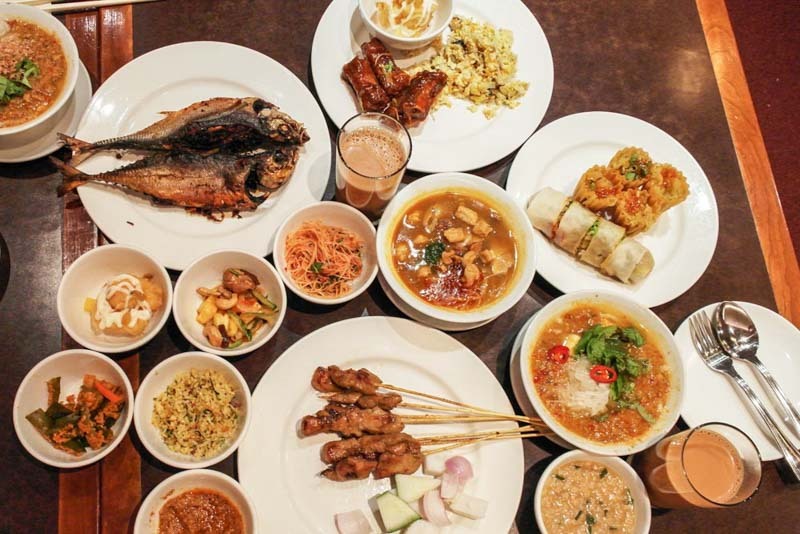 We all have our various preferences in terms of cuisine, so here’s a guide to the 25 best buffets in Singapore, categorised according to the type of food on offer. 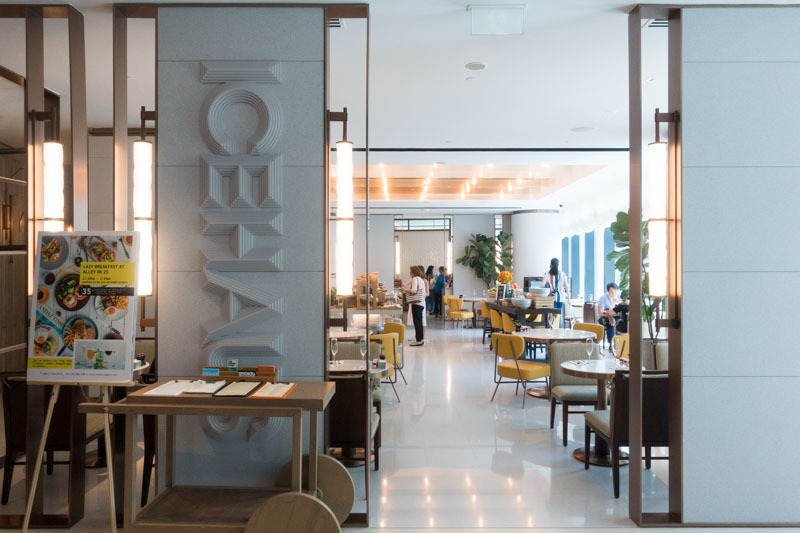 Edge at Pan Pacific Singapore features seven open kitchens where master chefs whip up an array of Asian and Pacific Rim cuisine. 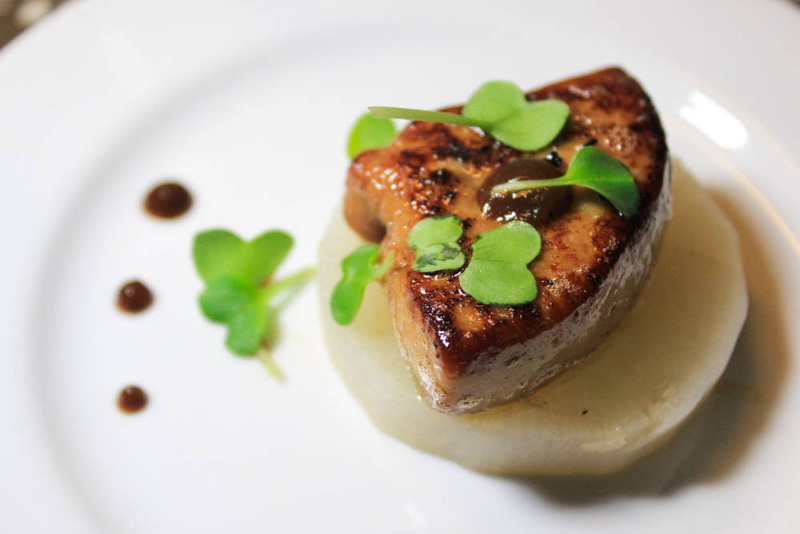 The restaurant provides a culinary experience like no other, and promises diners a theatrical gastronomic tour. 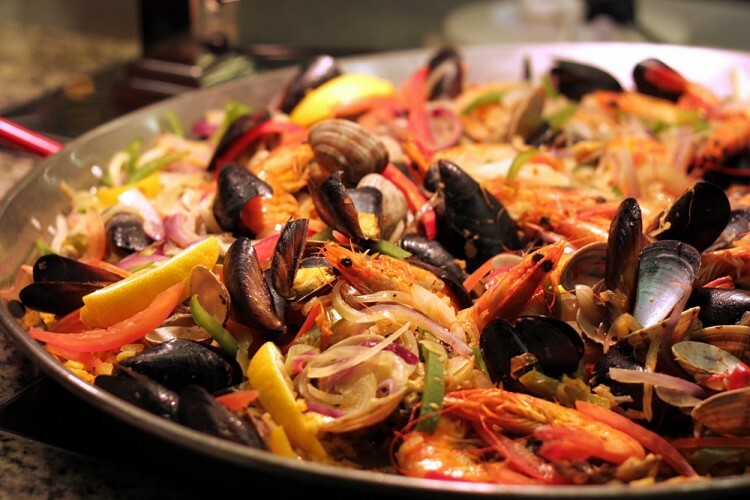 Special themed nights like Seafood Night on Wednesdays and Thursdays add some spice to the wide selection on offer. Triple Three is simply named after the address of Mandarin Orchard. 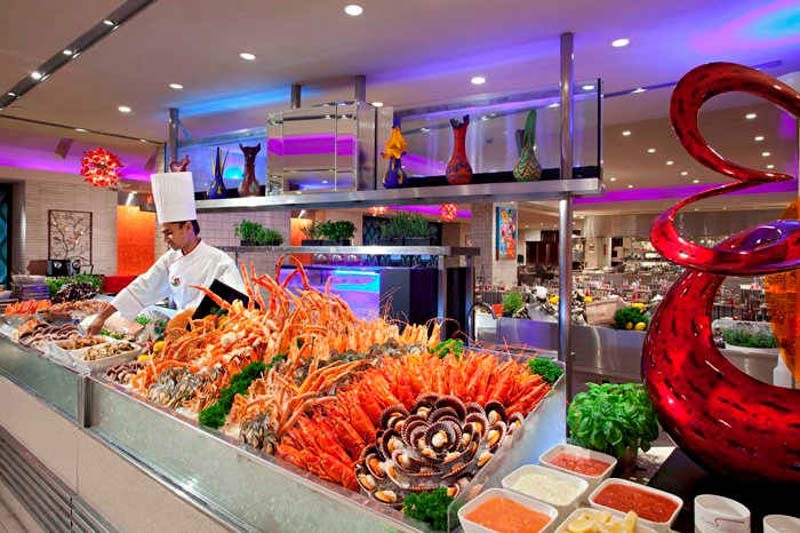 Setting itself apart from other hotel buffets, the buffet menu here largely focuses on Japanese cuisine. 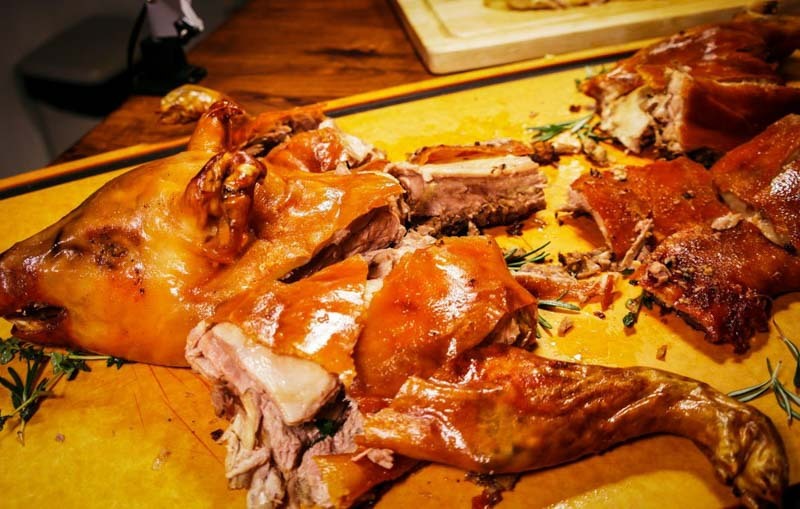 The spread of dishes is very extensive, with a premium roast section, fresh seafood on ice, as well as mouth-watering desserts which are sure to satisfy all your cravings. To top it off, Triple Three also has a Daily Delight theme which features something different every day; Foie Gras Tuesday, Wagyu Wednesday, as well as the Weekend Lobster Night, are not to be missed! Regularly hailed as one of the best, The Line at Shangri-La offers a selection of stylish bites conjured by a team of creative chefs. The restaurant is constantly bustling with activity all throughout the year, and it’s not hard to see why. Featuring 16 theatrical kitchens, this hotel buffet showcases an array of culinary delights that reflect the best of international cuisine. Diners are spoilt for choice, with the availability of Chinese delicacies, exquisite Japanese, fresh seafood, hearty Western, healthy salads and savoury desserts. Not forgetting the local dishes of course, which is what The Line is well-known for. 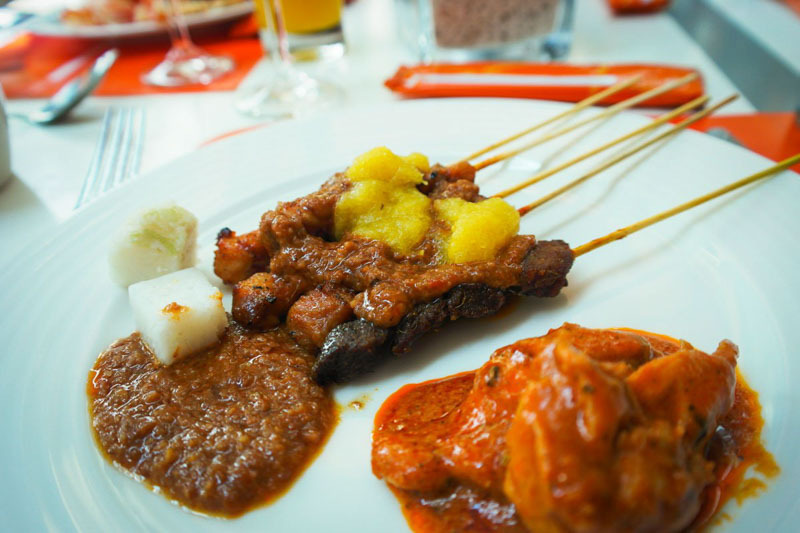 Get ready to indulge in a plethora of local delights including laksa and succulent sticks of satay. 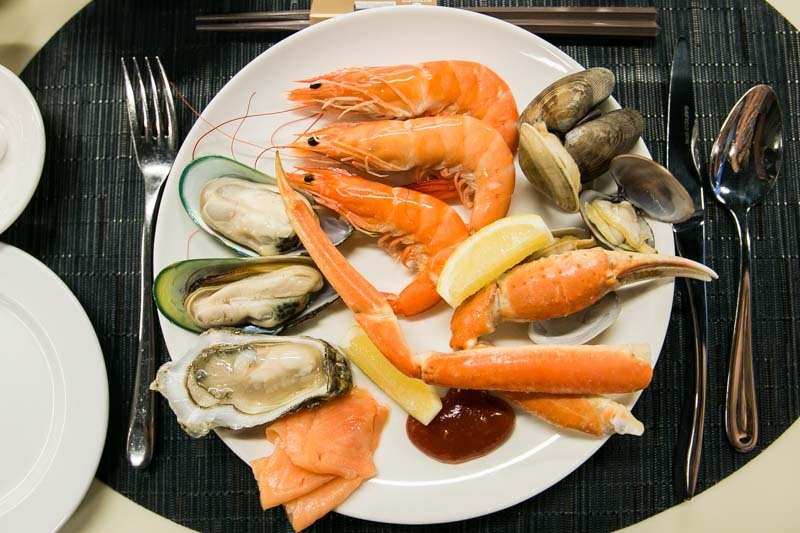 On Friday and Saturday evenings, [email protected] in Hotel Jen offers a seafood buffet, serving a spread of local specialities and international classics. 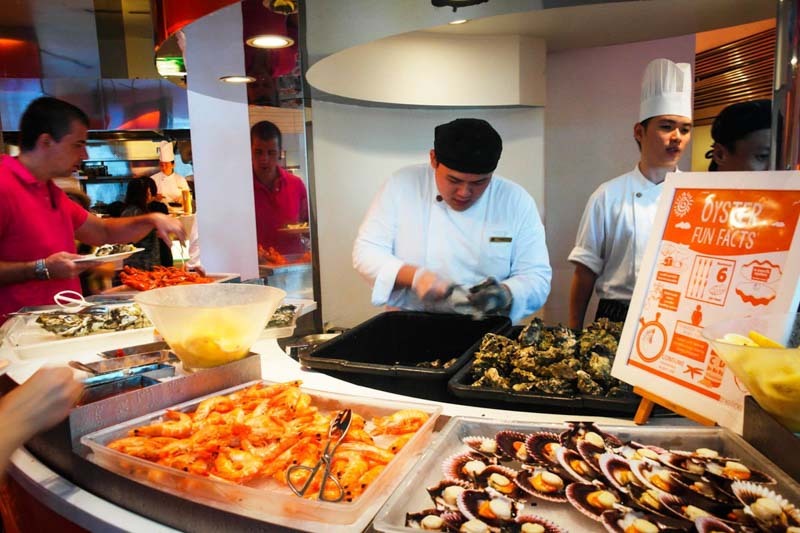 The seafood buffet spread consists of a salad and sushi bar, fresh seafood counter, prawn noodles and other local cooking stations, with many local favourites and familiar international dishes such as Chilli Crab and Seafood Paella respectively. 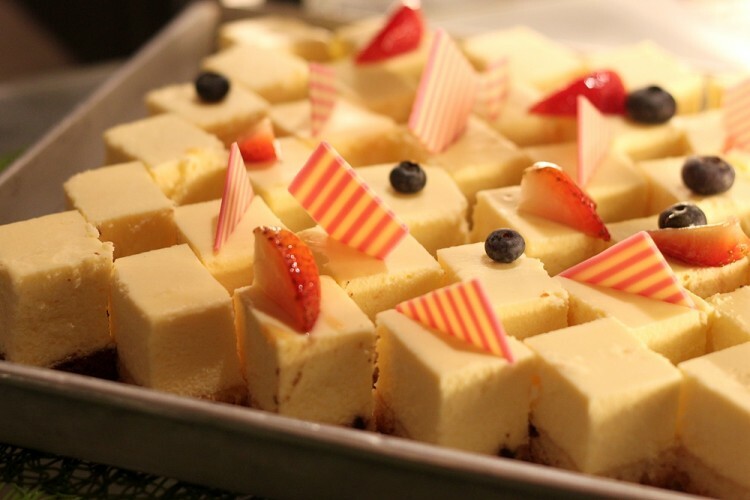 The dessert section is another highlight of this buffet — diners can choose from eight different flavours of ice cream, alongside many different toppings, as well as eight choices of cakes and tarts. 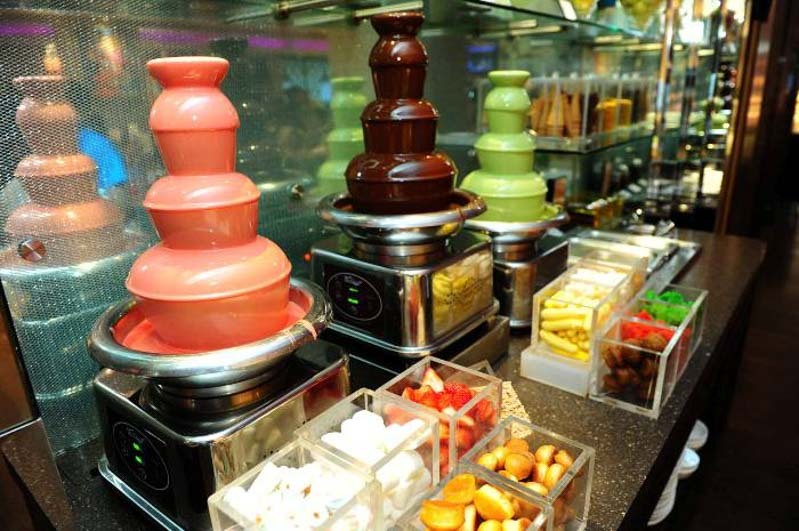 If that’s still not enough, enjoy a chocolate fondue with three different types of marshmallows! With lush greenery all around and a design inspired by agriculture, PARKROYAL on Pickering’s hotel-in-a-garden concept is the perfect setting for a delicious buffet. Lime, the hotel’s signature open-kitchen all-day dining restaurant serves up an extensive spread of Asian flavours and contemporary international favourites in a lively, theatrical mood. On top of being an international buffet restaurant, what sets Lime apart from other buffet restaurants is its Peranakan kitchen. Hearty, home-cooked classics are elevated with quality ingredients. 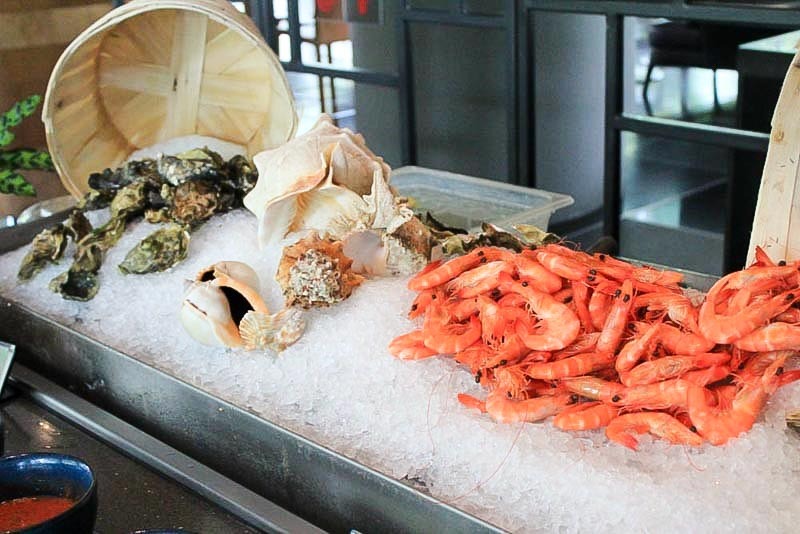 The seafood spread at Lime is also pretty difficult to beat; I always head back for the fresh oysters and prawns! End your meal on a high with their special matcha chocolate fondue which is a nice change from the usual fondue stations in other buffets. Melt – The World Cafe indeed lives up to the reputation of its name. Featuring a multi-cultural culinary feast with an open kitchen concept, dining at this restaurant is an amazing experience. 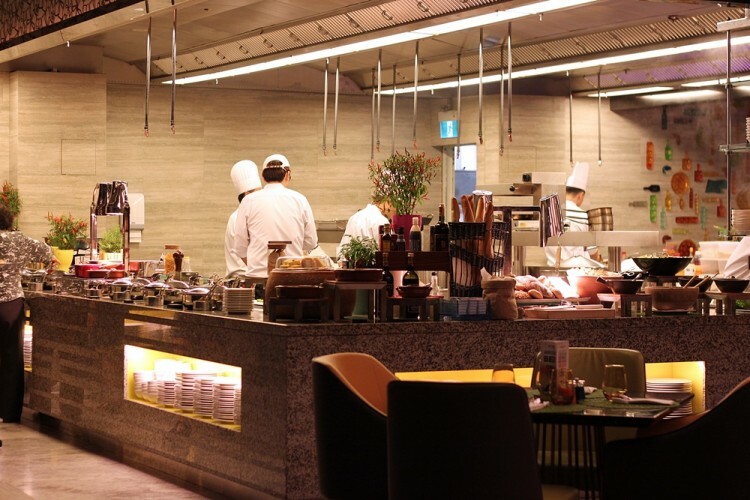 Diners get to watch the chefs at work, as they whip up a huge variety of cuisines. 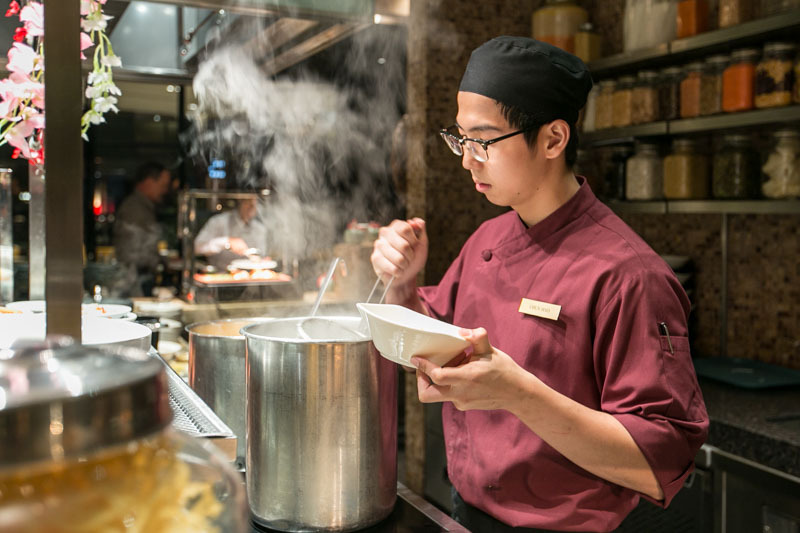 The ‘Asian Kitchen’ section features ‘Noodles of the Day’ as one of its themes, where chefs prepare different Asian-based signature mains such as prawn noodles, Laksa and Lor Mee. 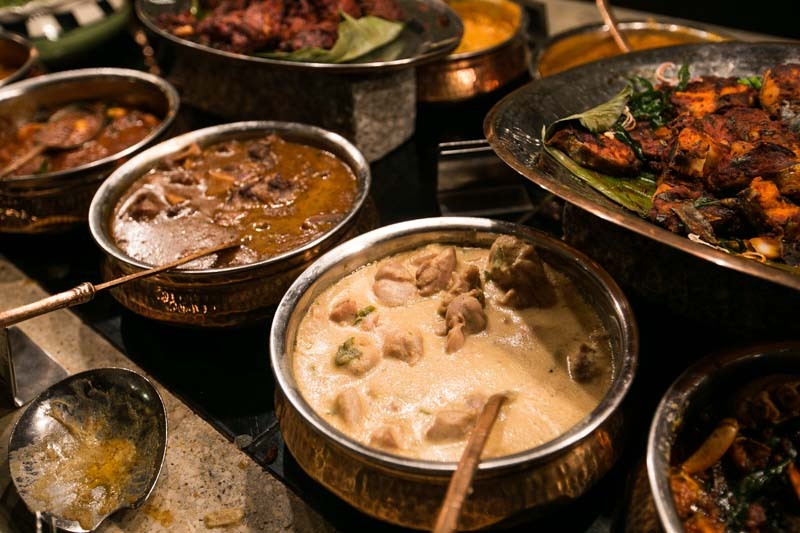 Another highlight is the North Indian cuisine section; a large array of rich and appetising curries are available on a rotational basis, with everything made in-house from scratch. The Indian dishes offered here beat out several other hotel buffets and have earned a thumbs up from us. 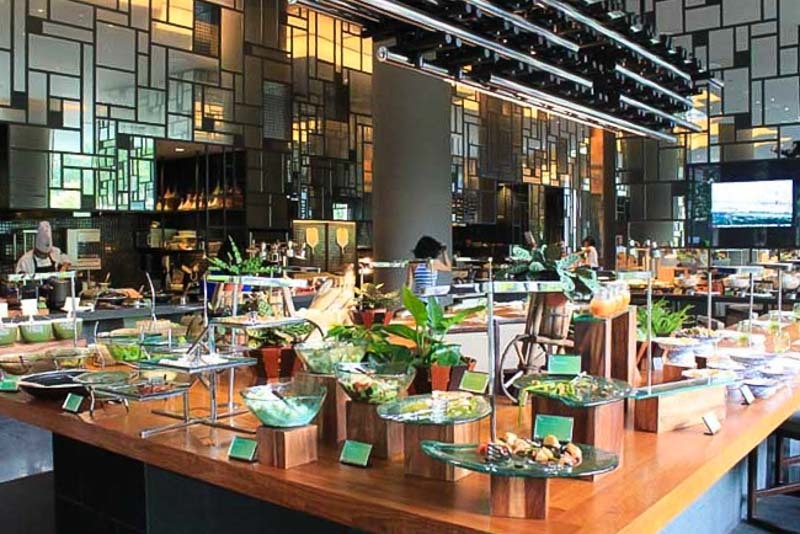 Get ready to put on your most stretchy buffet pants because Andaz Singapore has introduced a Lazy Breakfast Semi-Buffet (S$35++) on weekends and public holidays, from 11.30am to 2.30pm. Apart from being spoilt for choice with their staple breakfast buffet line-up of waffles, assorted cheeses, fresh juices, egg station (cooked to order!) and Asian delights, diners can also choose one main from their special menu. 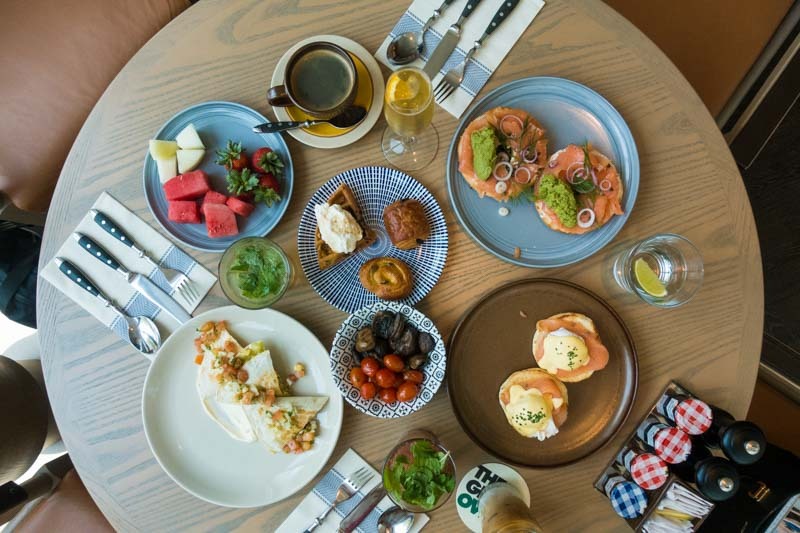 You can pick from classic Eggs Benedict, hearty Smoked Salmon Bagel, a decadent Breakfast Burger or even a spoil-yourself Steak And Egg (requires a top-up of S$10). 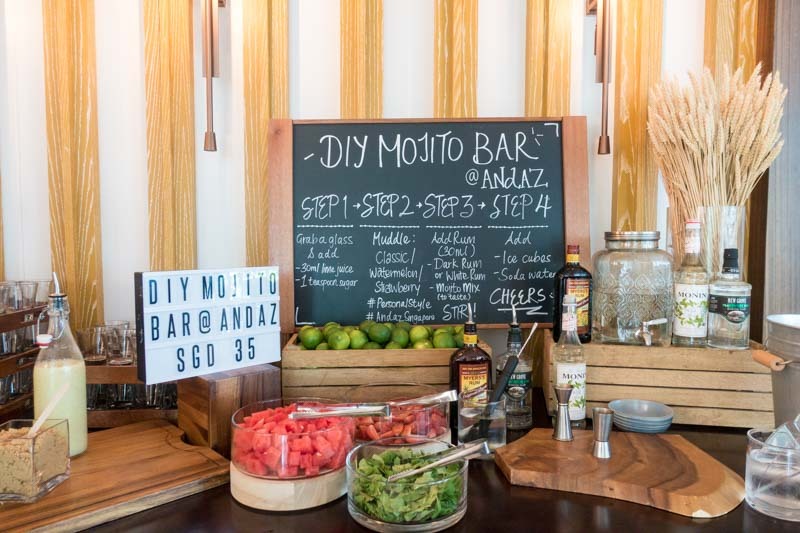 Luxuriate in the chill weekend vibes by opting for free-flow booze (additional S$35) that includes wines, beer, and access to the DIY mojito station! With one of the best hotel buffet deals in town, you’ll be kind on your wallet while satisfying your hunger at the same time! 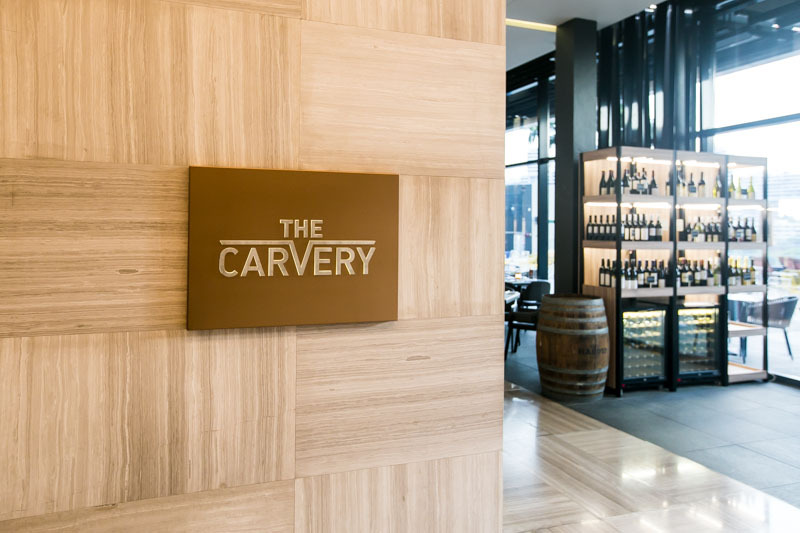 Meat lovers will enjoy the buffet spread at The Carvery in Park Hotel Alexandra. 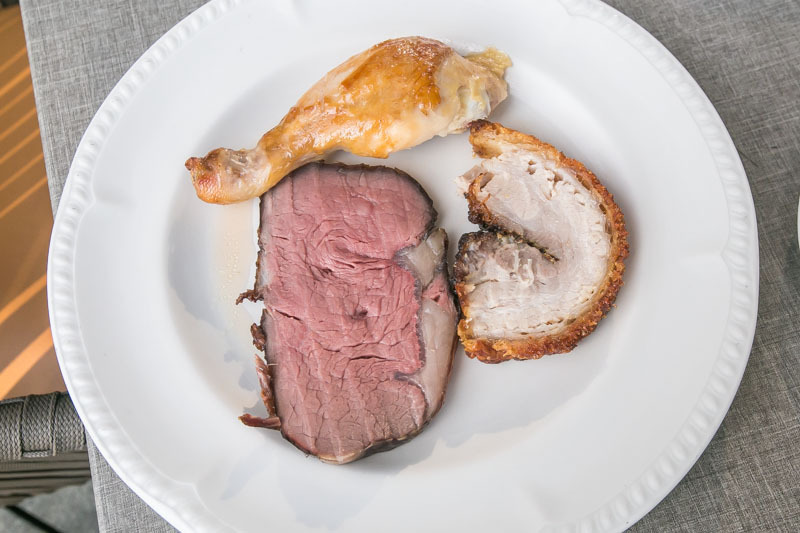 The highlight of the feast is definitely the live carving stations, where you can savour cuts of roast beef, pork, roast chicken and more. The pork in particular was particularly delightful — the pork crackling gave an audible crunch as I bit into it, and the meat was equal parts tender and fatty. 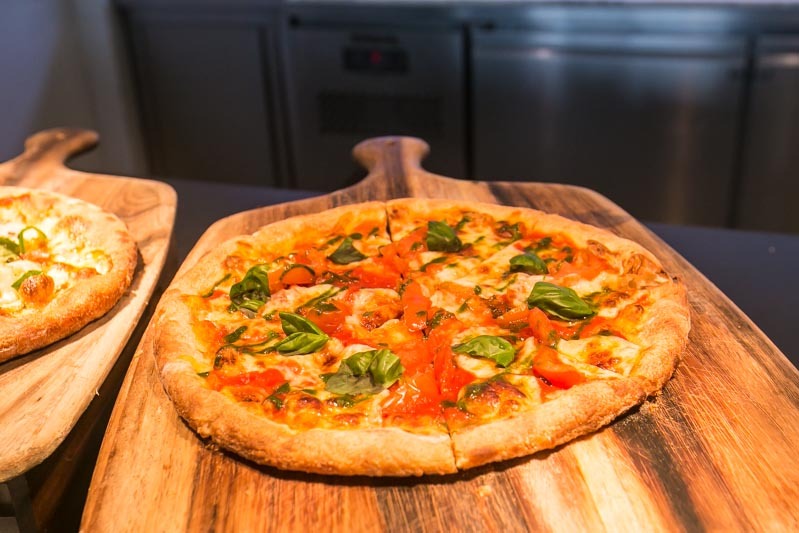 If meat isn’t your thing, they also serve up pizzas baked in their wood-fired oven. The thin crust means that you won’t overload on carbs, while you still get to enjoy the gooey cheese and various toppings. What’s a meal without dessert? Pick from a dizzying selection, including cakes, pudding cups, and my favourite, Pineapple Crumble. This tropical counterpart to the usual apple crumble is delightfully sweet and tart, with fresh pineapple chunks hidden within the crumbly top crust. Psst, ChopeDeals is running a one-for-one lunch and dinner buffet promotion! It’s a great chance to bring that special someone for a feast here. 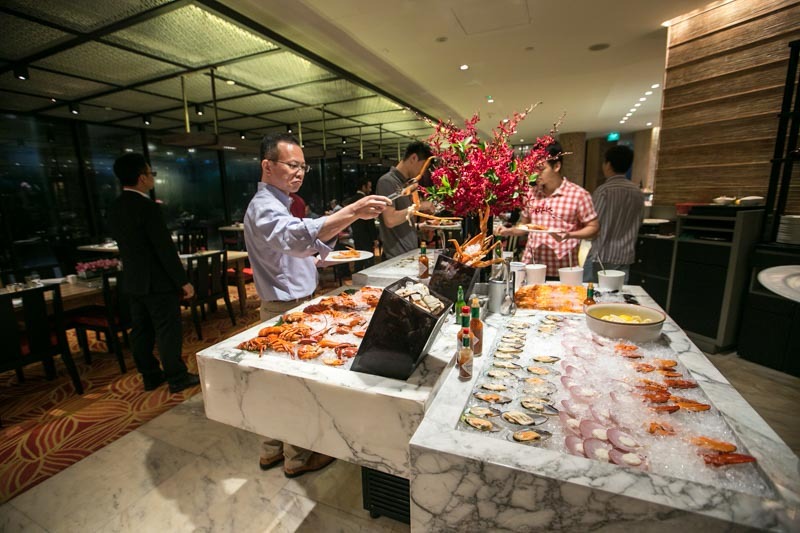 Featuring an a la carte buffet menu, Shin Minori prides itself on fresh and high-quality food, serving up premium cuts of sashimi at affordable price points. 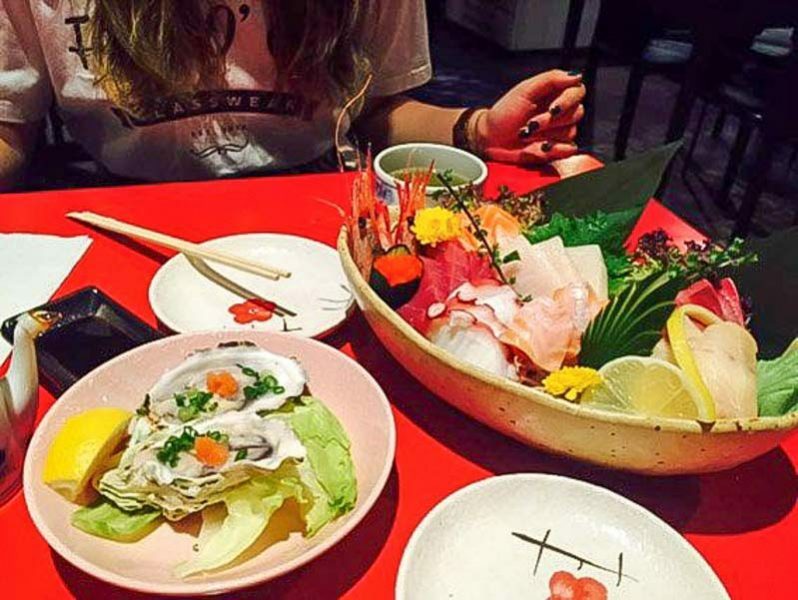 What is most delectable about Shin Minori is the plethora of flavours of sushi that it has in store; you’ll be spoilt for choice and will leave stuffed to the brim! 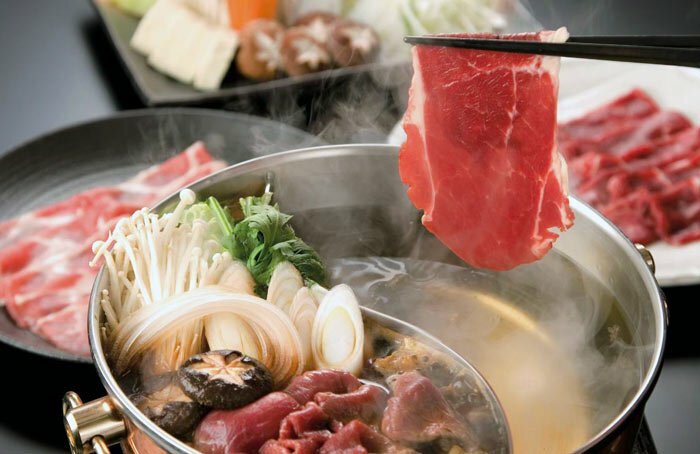 Another very value-for-money option, Shabu Sai presents plate after plate of quality cuts of meat from all over the world, to be dunked in their delicious shabu shabu soups. 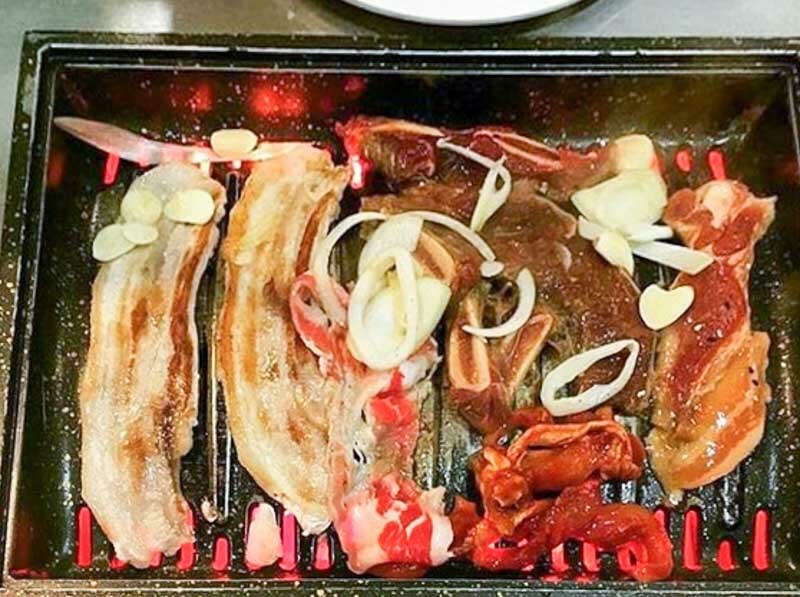 Shabu Sai is definitely the place to head to if you’re basically a carnivore. Besides all the meats, you’ll find plenty of vegetables available as well. Free-flow of soft drinks and ice cream are also available at the desserts bar for an additional S$1.99++. The downside is that there is a time limit of 70 minutes for lunch, and 90 minutes for dinner. 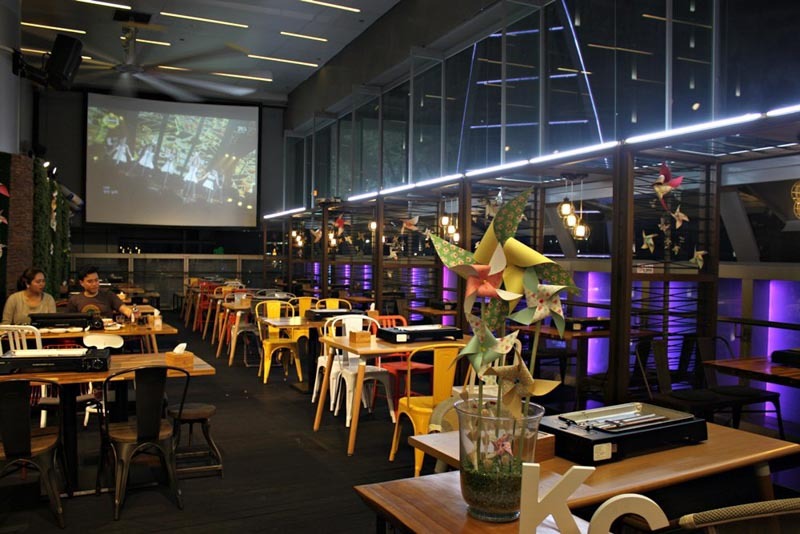 Kushi Dining Bar is a spectacular gem hidden near Tai Seng MRT. It serves up premium, quality Japanese dishes that rival those of its hotel buffet counterparts. Expect to indulge in a decadent and delicious selection of cooked food; we’re talking wagyu beef cubes, lobster porridge, salmon head, tataki and many more. 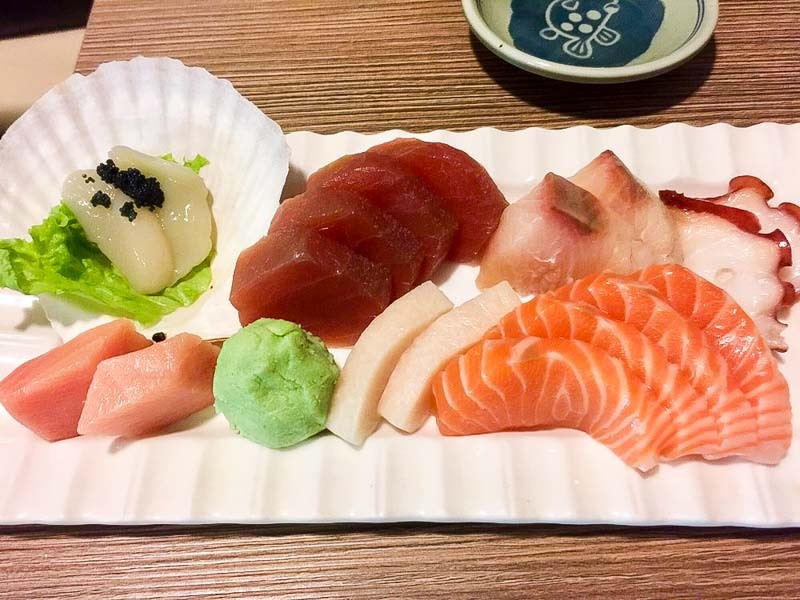 The sashimi was also really fresh and juicy as well, featuring premium thick cuts of salmon belly, swordfish, tuna, tako, amaebi and more. 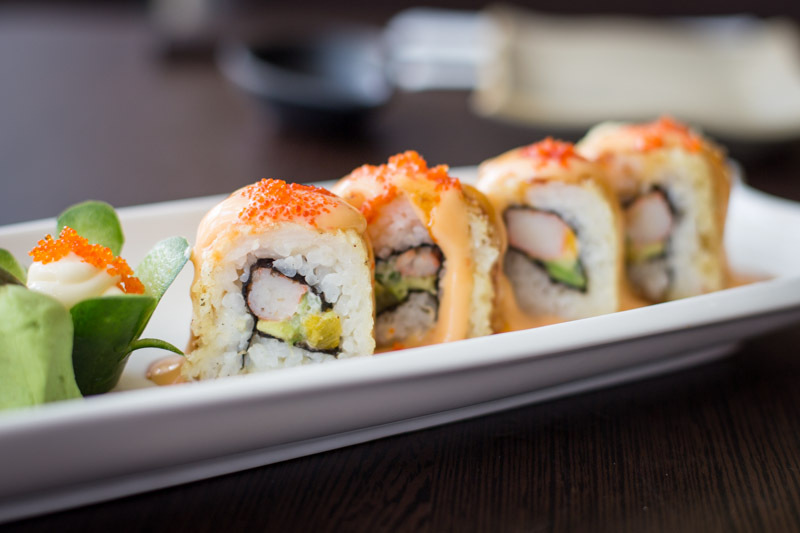 If you are looking for a high-quality Japanese buffet, Kushi is where you’ll find it. 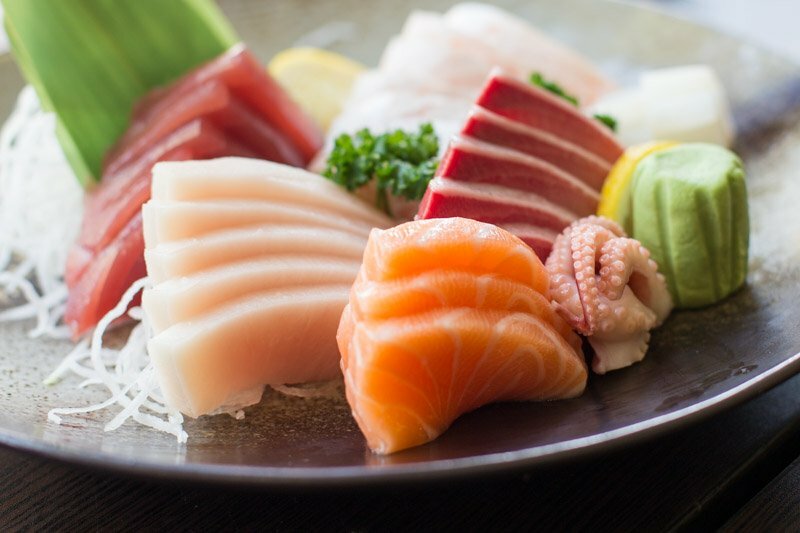 For a Japanese buffet, Shin Yuu carries a uniquely crafted selection of sushi that’s of a higher grade than its competitors. The signature Shin Yuu Special Aburi Sushi (seared salmon sushi with a smear of mentaiko) is sure to be a hit, as well as the premium thick cuts of sashimi. You’ll also get complimentary Toro Sashimi, Taraba Kani, Zuwa Kani Tempura and Japanese ice cream with every a la carte buffet dinner order. 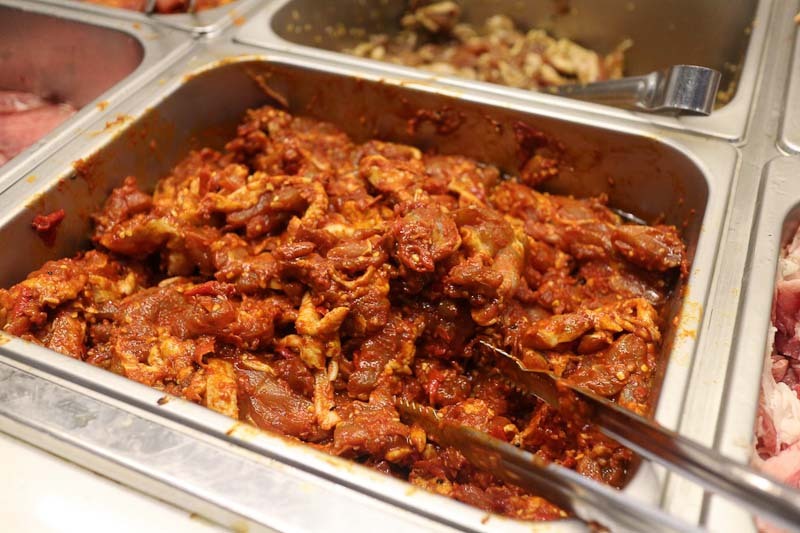 Ssikkek is a meat lover’s heaven on earth — there is so much meat available in the buffet spread! And it’s extremely popular given that it’s only S$14++ per pax. 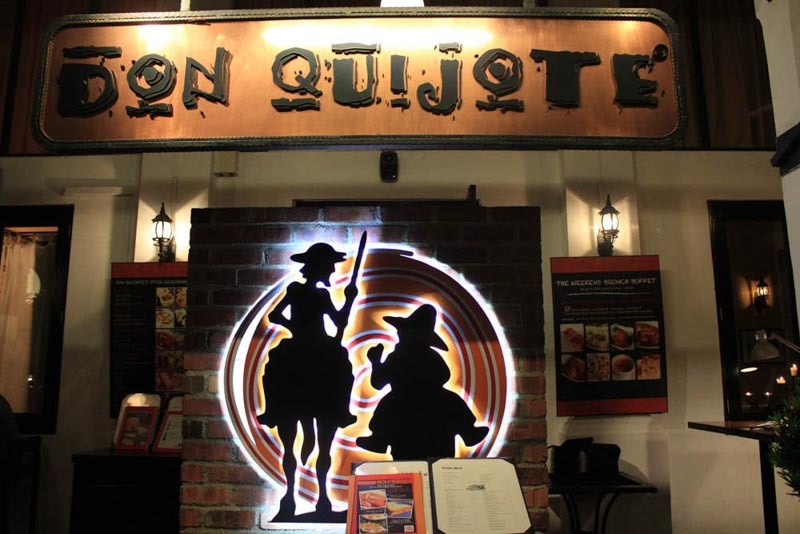 The Tanjong Pagar outlet tends to have long queues and reservations are recommended. If that fails, check out the Novena outlet, which is also unfortunately equally as tough to get walk-ins. Eating time is limited to two hours per table though, so there’s always hope if you’re willing to wait. Be prepared to leave smelling like someone stuffed BBQ pork belly down your shirt, or use the Febreeze that’s conveniently located by the exit. 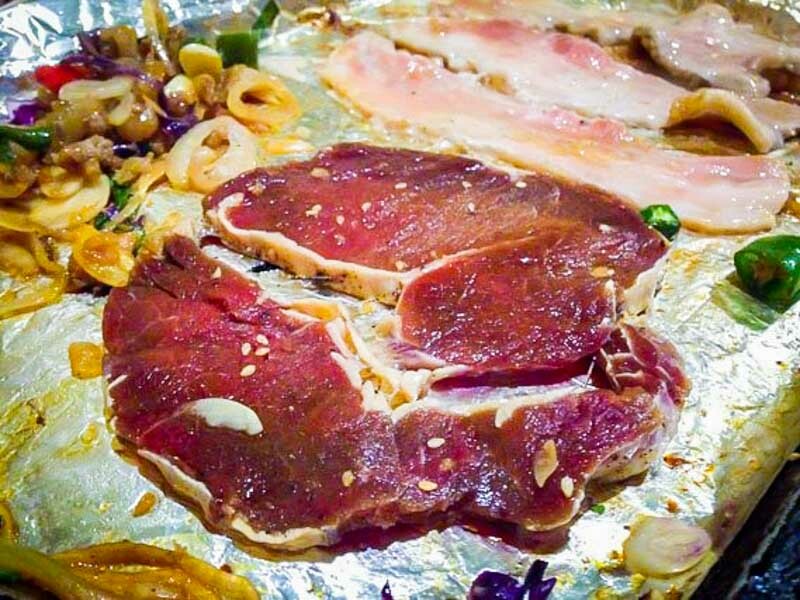 Situated on the premises of SOTA (School of The Arts), I’m KIM Korean BBQ is a hip Korean BBQ restaurant in town, offering a spread of high-quality meats. The restaurant features more than 50 dishes (!!) on its eat-all-you-can menu, ranging from barbecued meats, to ready-fried savoury treats such as potato wedges and chicken wings. The Volcano Chicken is a signature barbecue item, and the Irresistible Chicken Wings are good too. Don’t forget to try the selection of flavours for bingsu that will be a refreshing end to your meal! This is another Korean joint which offers a good value buffet at S$14.90++ for lunch and S$24.90++ for dinner. K. Cook offers both air-conditioned and non-air-conditioned dining areas. The latter is kept breezy with huge ceiling fans, hence you can say goodbye to that burnt stench characteristic of a Korean BBQ dinner. The spread of food was as good as the restaurant set-up, with quality ingredients that will level up your grilling experience. We’re definitely fans! Dookki, located in Suntec City, has a fun dining concept where one can have two meals at one go, a popular practice in Korea. 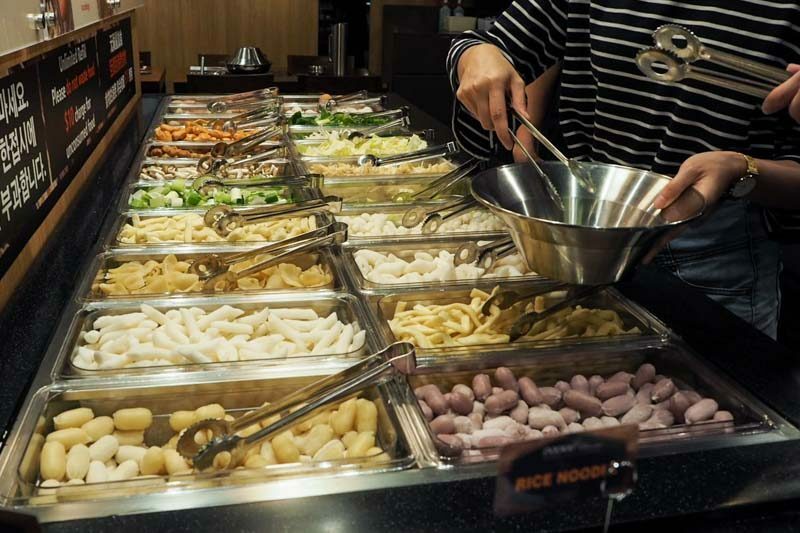 First up is the tteokbokki buffet that offers up to eight different types of rice cakes flown in from Korea. These rice cakes will surprise you as some come with flavoured fillings and others come in a cute assortment of shapes. 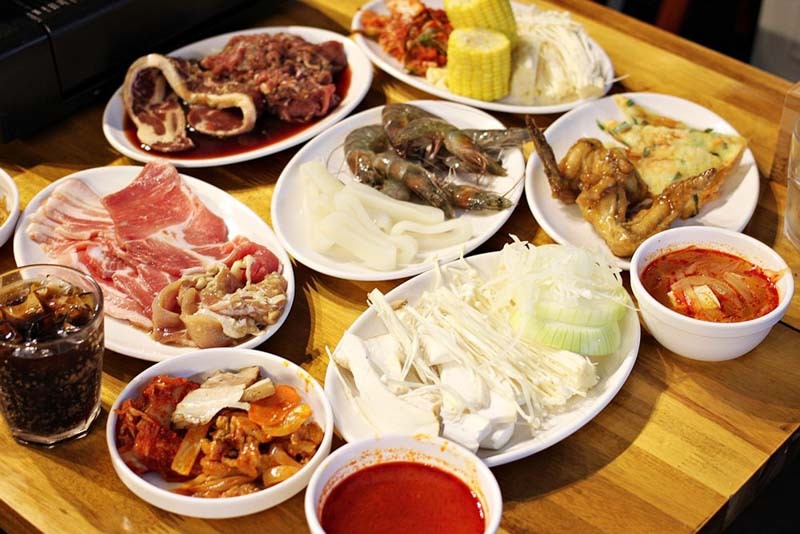 You can also choose from a wide array of ingredients to have alongside your tteokbokki. Options include QQ noodles, fish cake noodles, fish cake oden and a variety of fried food. Next, concoct your own sauce and prepare for part two of the meal. 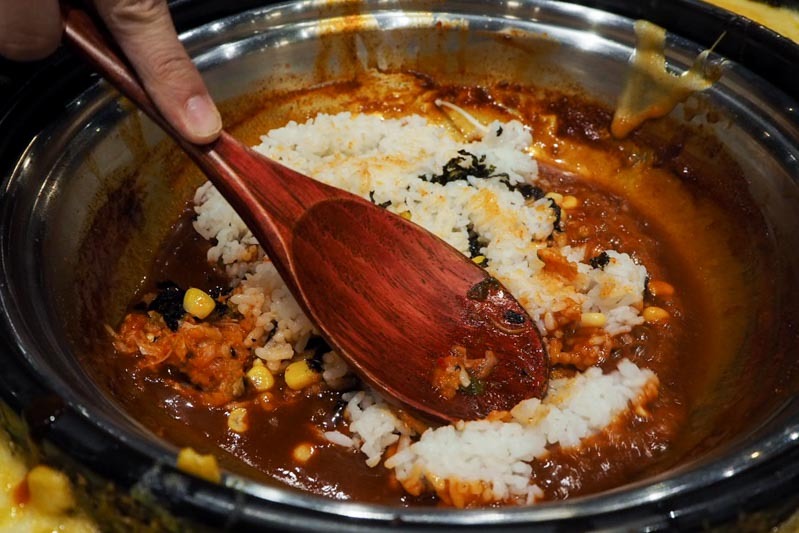 Add in some rice, kimchi, sweet corn, and seaweed from the buffet station, and mix it in with your sauce to whip up a sumptuous bowl of kimchi fried rice. 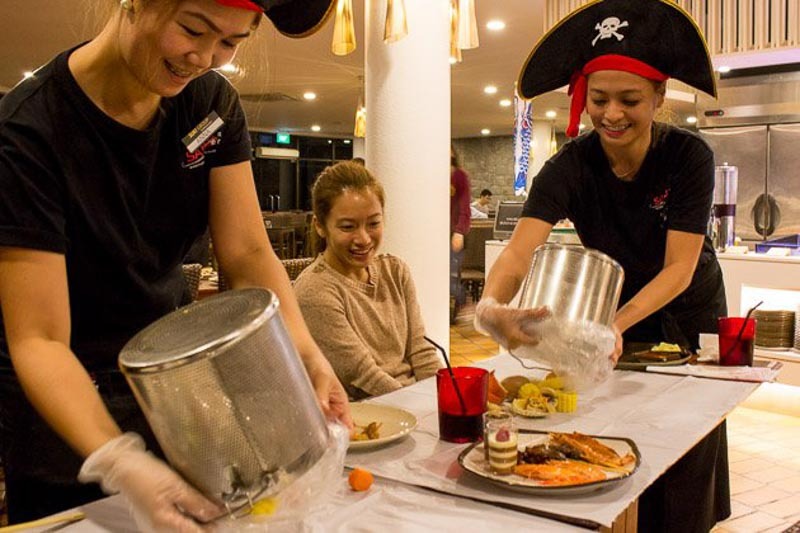 At Carousel Buffet Restaurant in Royal Plaza on Scotts, the team of chefs are constantly making every effort to make each diner’s experience a rewarding and memorable one. As a halal-certified restaurant, Carousel houses seven open-concept kitchens which serve a sumptuous variety of international cuisine. I must highlight that Carousel is a paradise for seafood lovers like me. 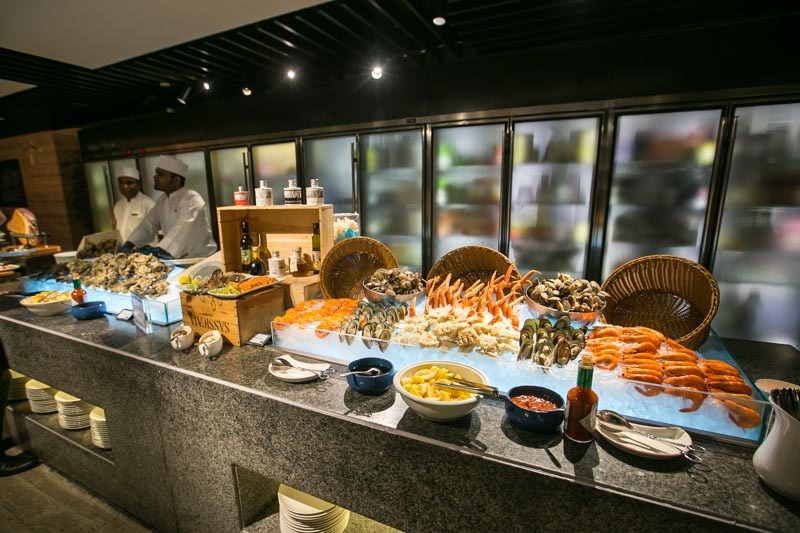 The seafood counter has up to 12 different types of fresh seafood arranged in an intricate display for diners to choose from. I was also very impressed with the chocolate fondue section. Offering two extraordinary flavours of chocolate (rose and matcha), the desserts at Carousel are another reason I wouldn’t mind burning a big hole in my pocket. 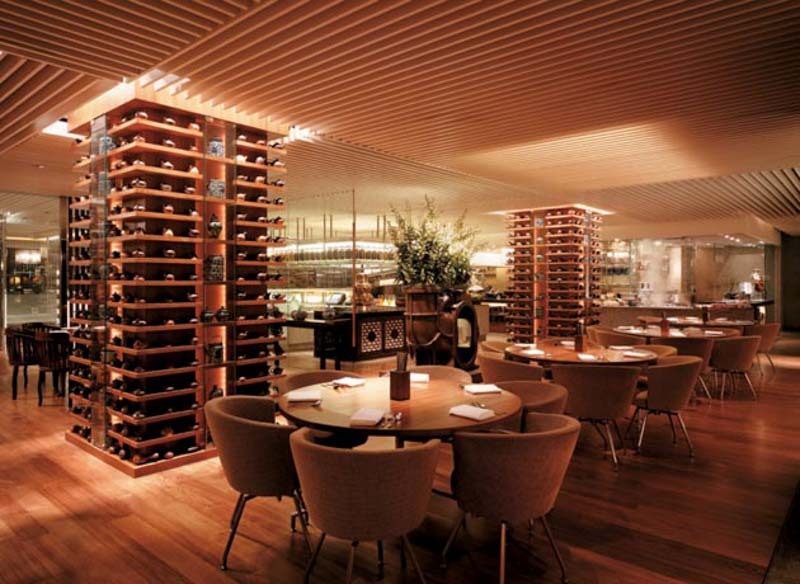 Located in the lobby of Grand Hyatt Singapore, Straits Kitchen is one of the more unique restaurants in town that offers a vivid portrayal of our local cuisine. 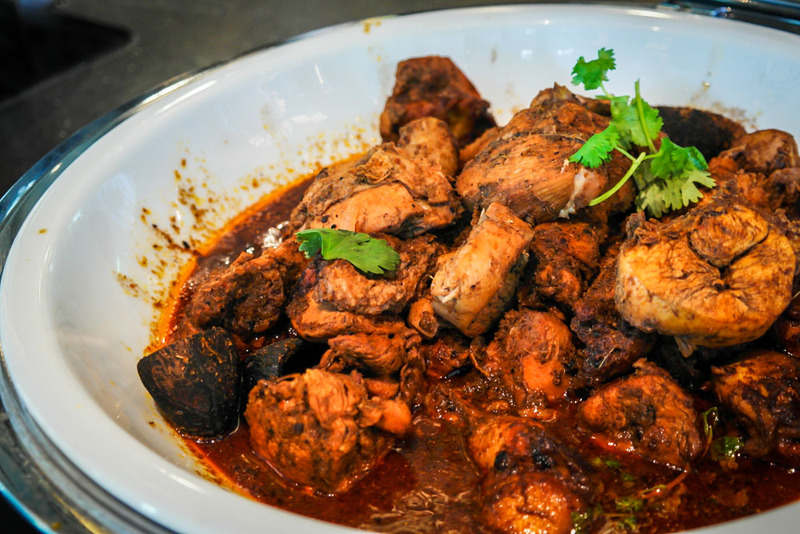 Diners get to indulge in a selection of local and halal hawker dishes reflective of the Chinese, Malay and Indian cultures in Singapore. How does one ever choose between Hainanese chicken rice and laksa? That’s why a buffet is the answer to satisfying all your cravings. Just when you think you’re done and stuffed, the dessert section will entice you with goreng pisang (banana fritters), homemade durian ice cream and many more. Prep your tummies! 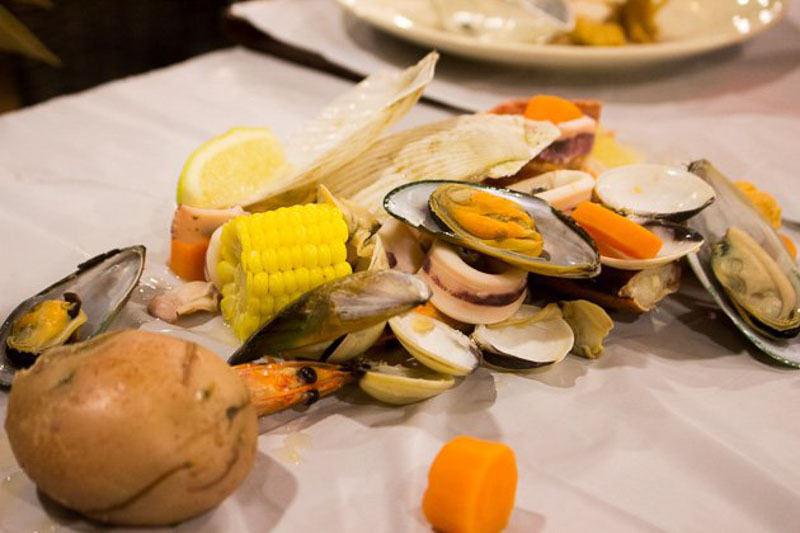 Part of the Suki Group of Restaurants, Sakura International Buffet is a halal restaurant that has recently incorporated a new idea of a “Seafood in a Bucket” into its buffet menu. This makes the restaurant stand out as the only eatery that offers this pre-existing dining concept as part of a buffet. This is only exclusive to Sakura’s revamped outlet at Clementi Woods, a newfound gem for seafood aficionados like me. Another highlight of the restaurant lies in Sakura’s DIY counters. They promise to whisk patrons away to the heart of Thailand. 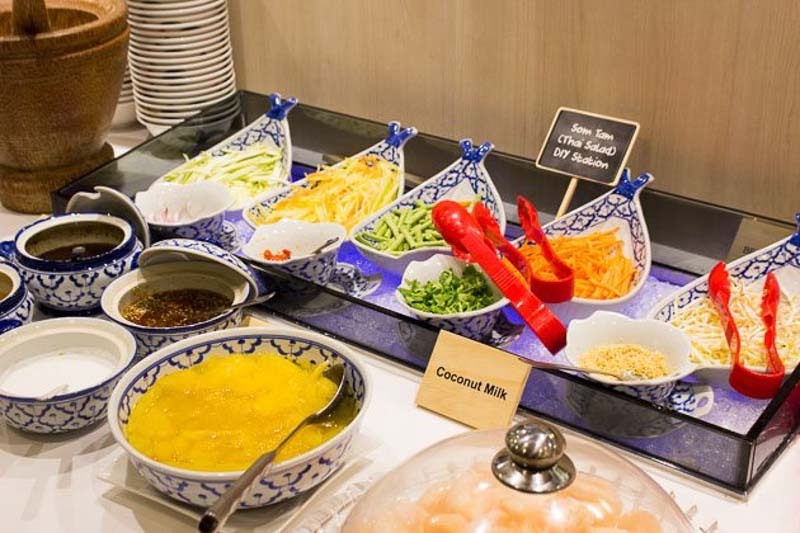 One of the counters offers a spread of ingredients for diners to make their own Som Tam (Thai salad). Here diners can select beansprouts, sliced mango, sliced papaya, and spices to create their own version of the dish. If you’re a fan of xiao long baos like me, I’m sure you’ll rejoice upon hearing about the Crystal Jade XLB Buffet that’s available at the Crystal Jade La Mian Xiao Long Bao, Holland Village outlet. 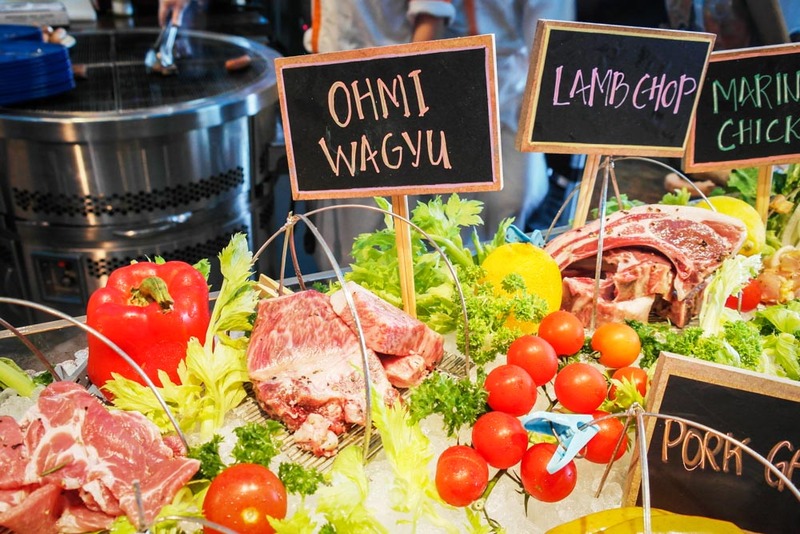 The best thing is that you’ll also have access to other food items available as part of the Steamboat Buffet, which comes together with the XLB Buffet. 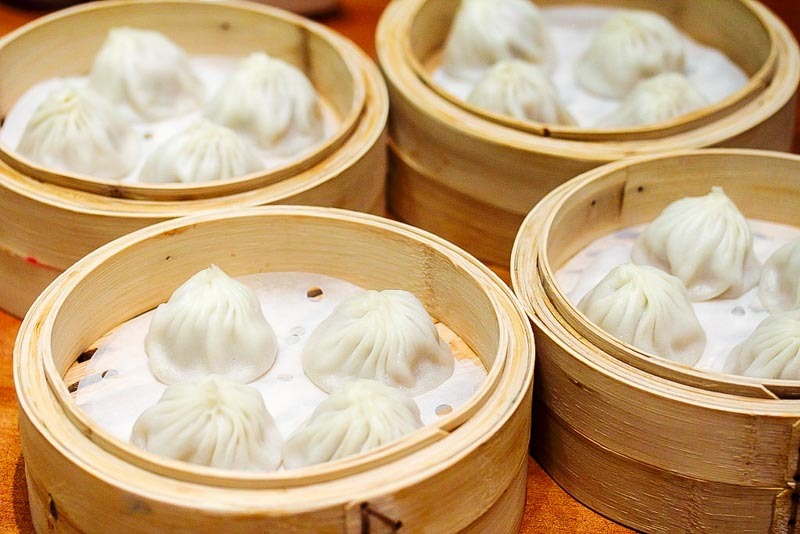 Free-flow xiao long baos that you can eat all night! Don Quijote on Dempsey Hill sure knows the way to my heart with their weekend tapas buffet. With more than 25 varieties to choose from and free-flow of sangria, wines and beers, I’m pretty sure they’ll capture your heart just as much as they did mine! Head down and get yourself unlimited servings of chorizo asado (barbecued spicy sausages) and croquetas con jamon (croquettes with cured Spanish ham). And remember, only invite fellow meat-lovers. Some days, you’re just too lazy to get up bring food back to your table during buffets. 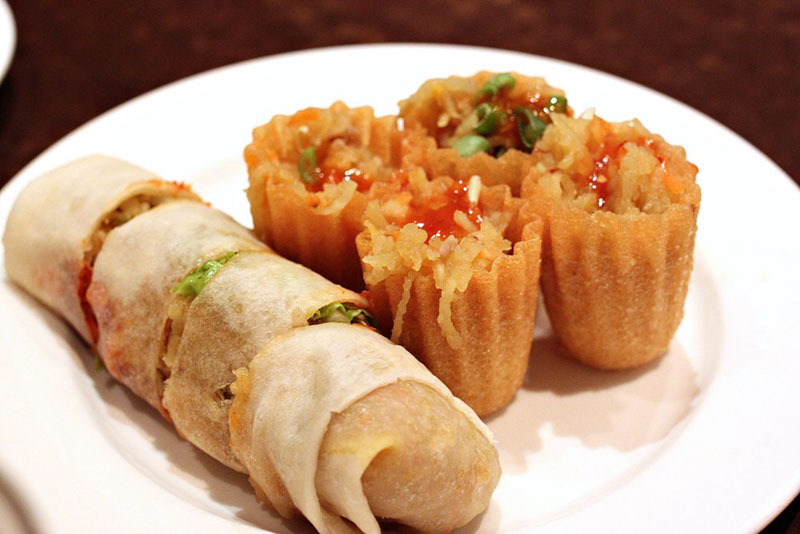 At Si Chuan Hou Hua located within PARKROYAL (Kitchener Road), they serve the food to you. This a la carte Chinese buffet comes with 60 dishes to choose from! 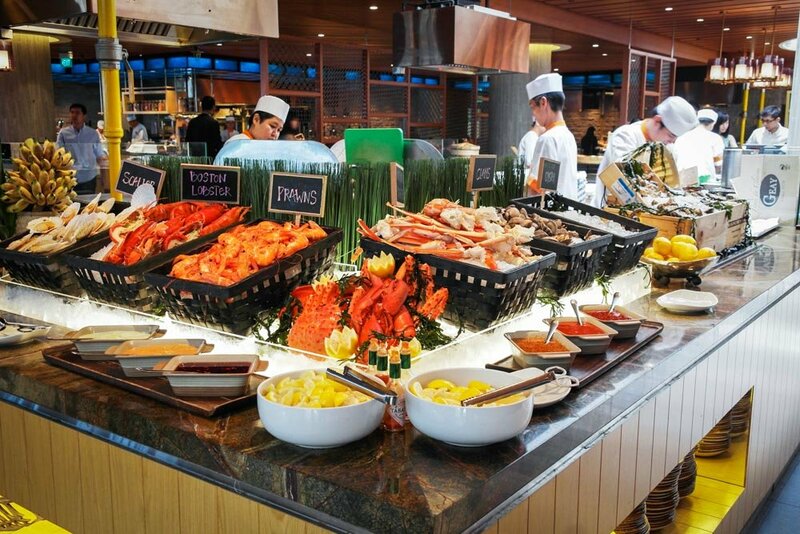 You’ll need a minimum of four dining to enjoy this buffet, but with food this good, that shouldn’t be a problem. With Sichuan and Cantonese influences, there are a few notable spicy dishes for those who like it hot. 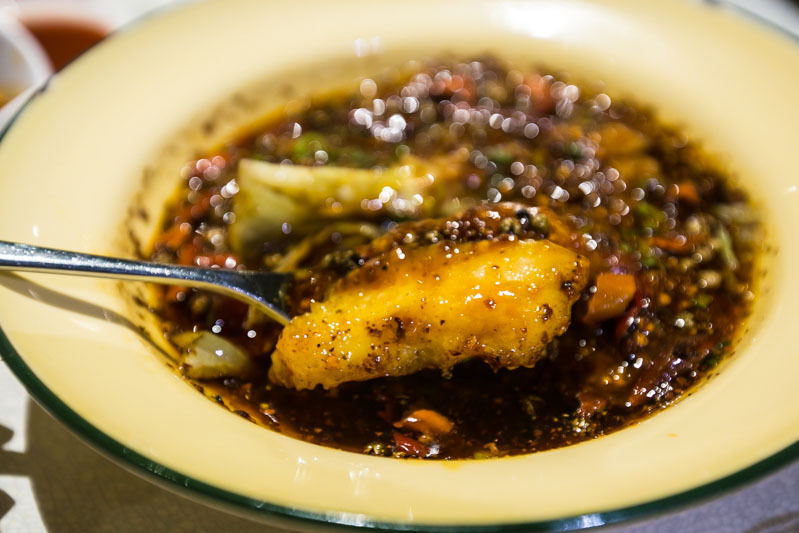 My favourite was the Boiled Sliced Fish In Sichuan Pepper Sauce, a typical dish from the region of Sichuan. Each piece of fish was flaky and soft, while the mouth-numbing spicy sauce brought tears of enjoyment to my eyes. 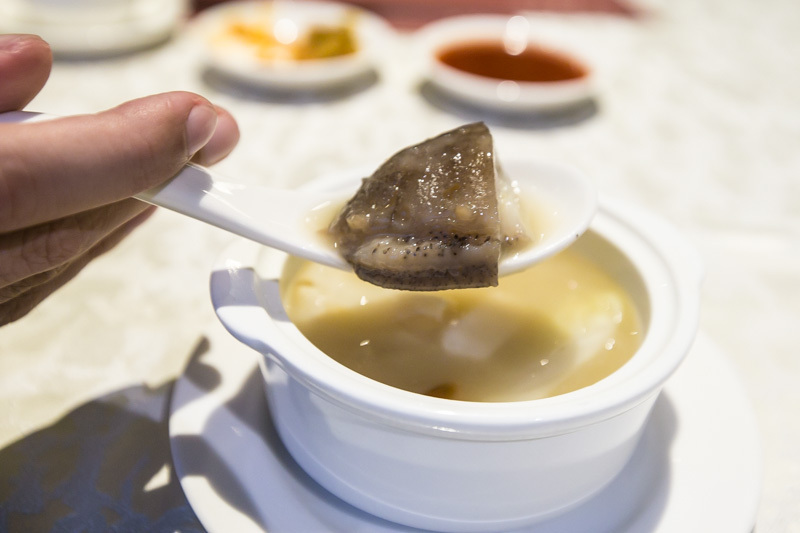 Diners can also enjoy some premium dishes like Double-Boiled Fish Maw Soup With Spiky Sea Cucumber, though unfortunately these are limited to one serving per person. While the flavours of the broth were rather delicate and subdued at the start, savouring the soup slowly brings out richer and more complex flavours. 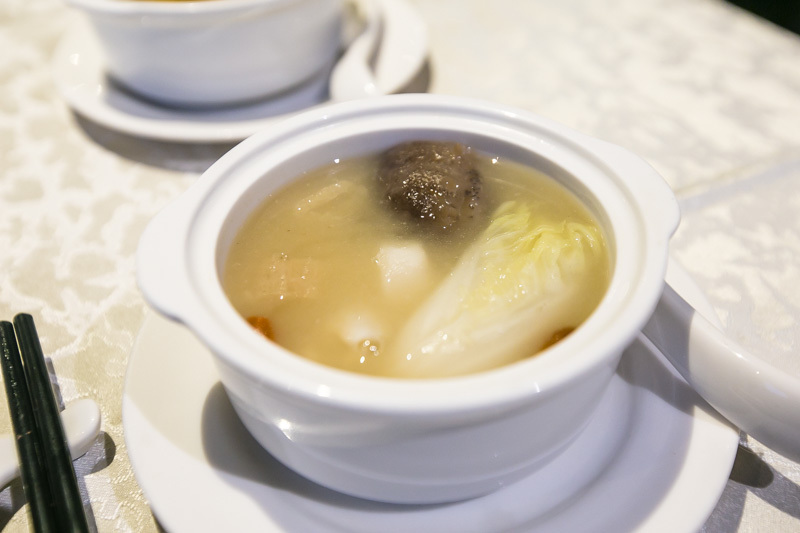 I really liked the spiky sea cucumber, which had a gelatinous and chewy texture and absorbed the essence of the broth. 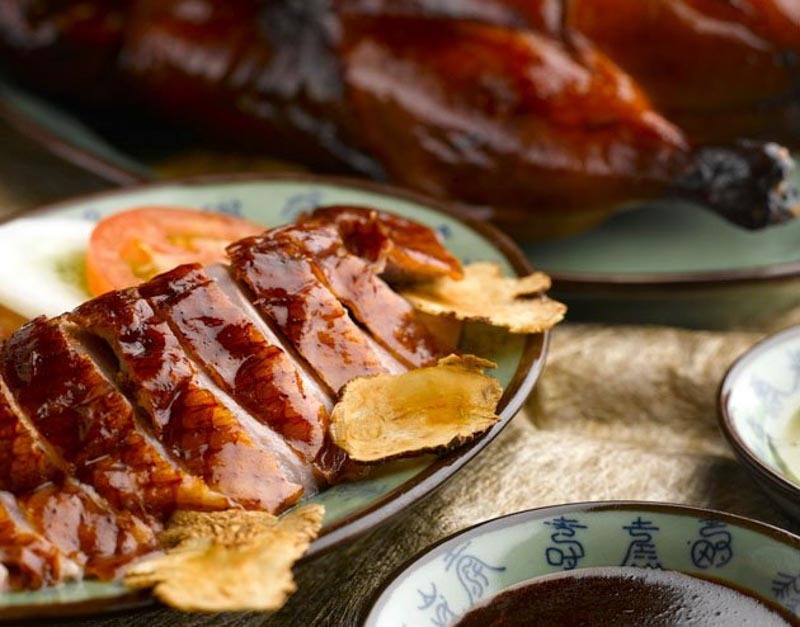 If you’re heading to Si Chuan Dou Hua, snag a voucher from ChopeDeals to get 30% off this fantastic feast! 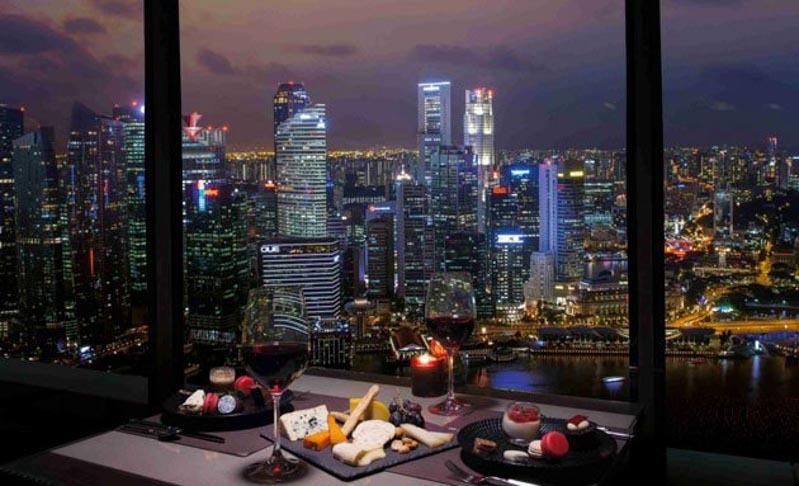 Situated at Level 55 of Marina Bay Sands Hotel is The Cheese & Chocolate Bar that offers you a decadent abundance of cheese and chocolate food items. Showcasing 12 varieties of European cheeses and over 40 handcrafted desserts, dining at this bar will really make you feel like you’re on cloud nine. Oh, and be sure to go for the wine pairings which add an extra dimension to your cheese and chocolate delicacies. Perfect date night idea, anyone? 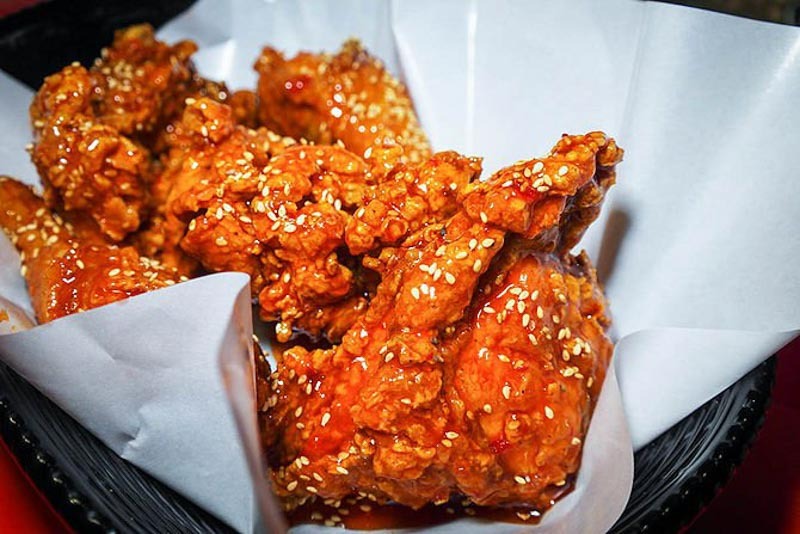 Everyone can’t get enough of Korean fried chicken wings so there’s no better news than hearing about a Korean fried chicken wing buffet. Available at Chicken Up, it comes complete with a wicked pairing of unlimited beers and soju. You can now feast to your heart’s content and potentially get really buzzed. 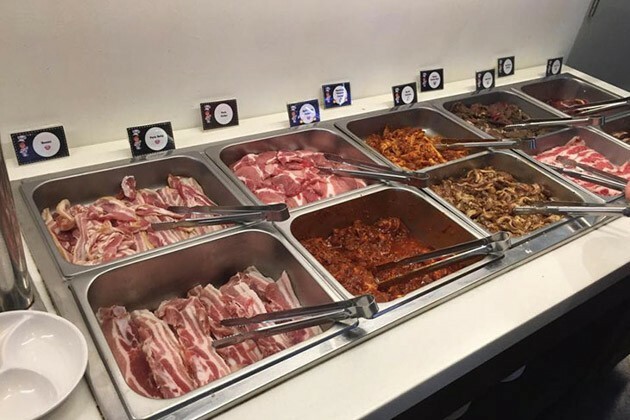 Do note that there is an additional charge of S$20 on Fridays and that this buffet is only available at the Tanjong Pagar, Parkway Parade and Buangkok branches. 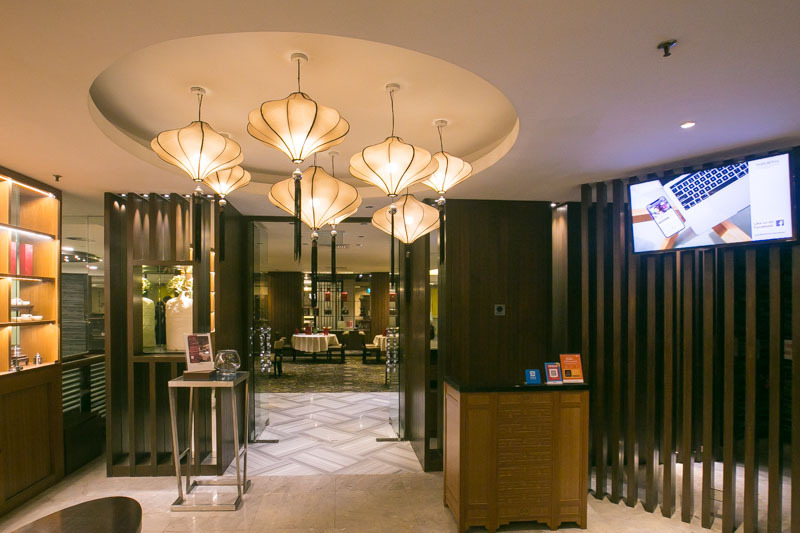 The Copthorne King’s Hotel’s Princess Terrace Cafe is famous for serving up the most authentic Penang Cuisine buffet. After all the international buffets that I’ve tried, I found this to be quite a unique niche concept that not many other hotel restaurants offer. Diners can get to indulge in signature dishes including the quintessential Hokkien Prawn Mee Soup, Char Kway Teow, Penang Laksa Nasi Ulam, Keraba Tang Hoon, Curry Noodles, Popiah, Kueh Pie Tee and more. 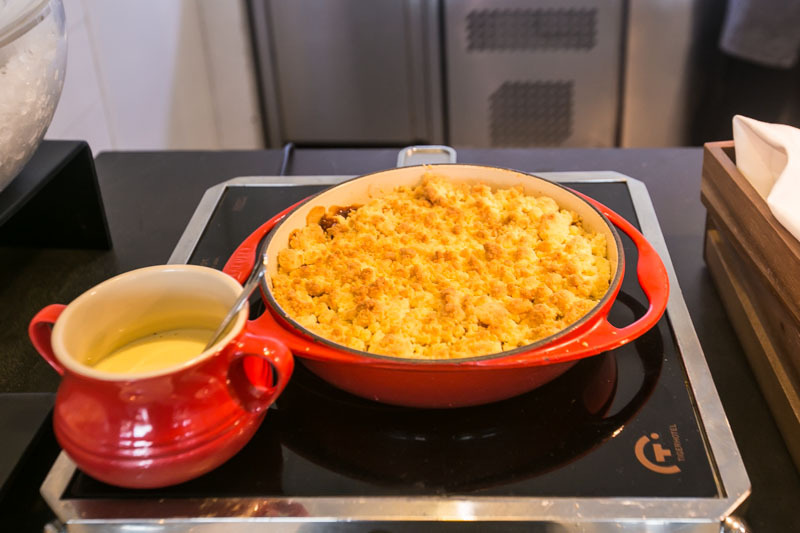 These are dishes that will really remind you of Grandma’s cooking.